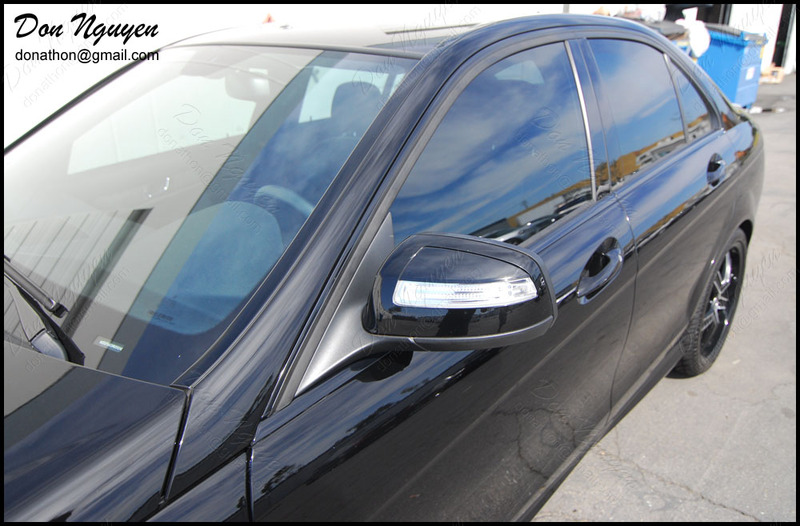 This black Mercedes Benz C350 W204 sedan had completely blacked out everything on his car prior to bringing his car to me to have his chrome window trim wrapped. 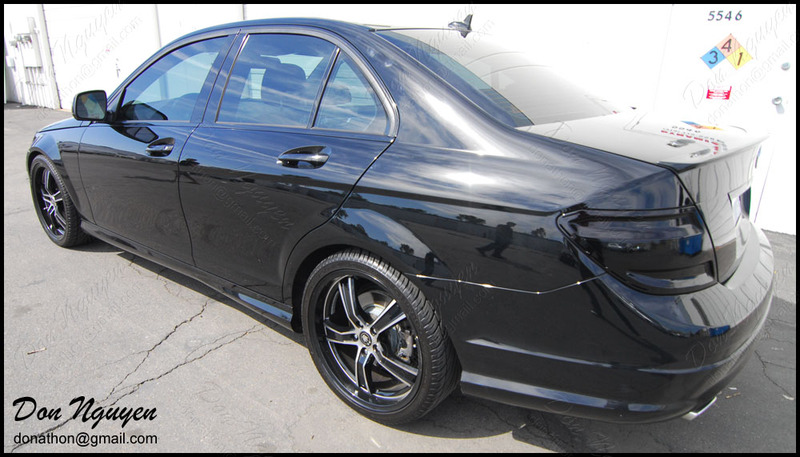 On his car, we went with the gloss black vinyl material to give it a more factory and OEM look, since his wheels had gloss black accents on it and his tail lights had a dark gloss black tint on it as well. The owner of this car drove out to me in Orange County from Los Angeles to get the vinyl work done.